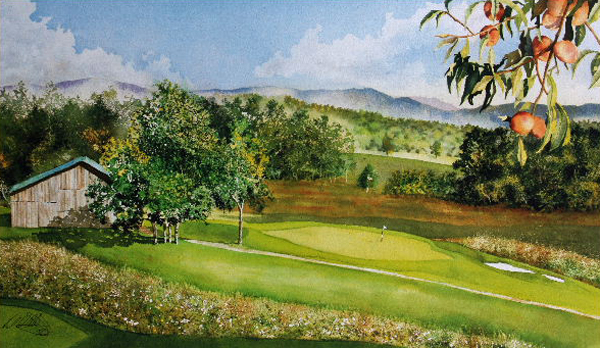 "The 13th At The Ridges" is a ltd.ed. s/n giclee on paper. #15/200. Image size: 22"w X 12.75"h.